It was a rather dreary April morning when we set out on our adventure to Seldom Rest Farm. First stop, the Kershaw County Farmers Market, where we met up bright and early at 8 a.m. on a Saturday morning. Ground soggy and muddy from rain the previous evening didn't deter us as we made our way around to the various vendors and scored some great deals on pickling cucumbers, bell peppers, asparagus, Vidalia onions and more. Finished there we headed to the Palmetto Coffee Shoppe and Tea Room for breakfast. This quaint local restaurant serves up some amazing baked goods, makes a variety of quiches, awesome smoothies and specialty coffees. 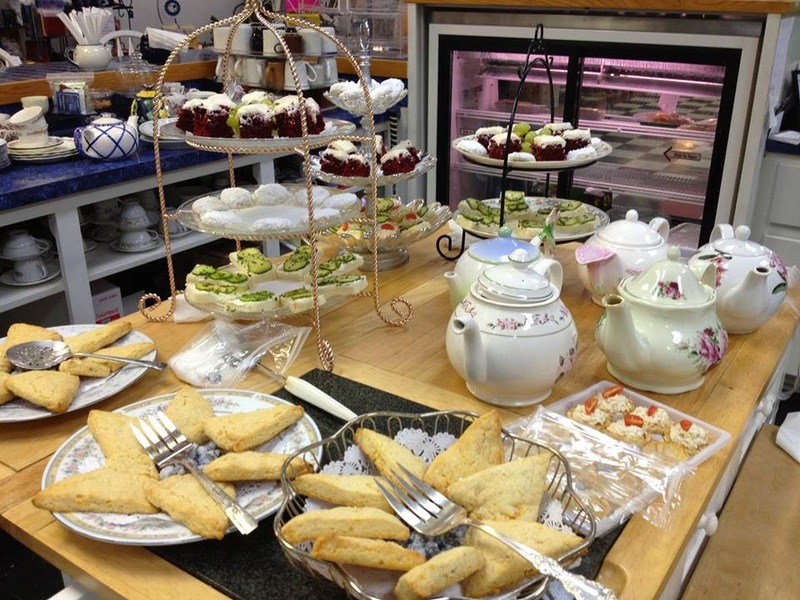 You can even make reservations and enjoy a "tea" complete with all the little finger sandwiches, delicious scones and cakes. After we finished up breakfast we got in our cars and headed north. As we entered the driveway to the farm, and crossed over a lovely pond located on either side of the road, I called Cathy to let her know we were there, and she directed us toward the barn area where she was waiting. After greetings and introductions were made all around, we were taken into an open barn area, where chairs were arranged for us to be seated. Cathy then addressed the group and told us all about the farm and how it all began. 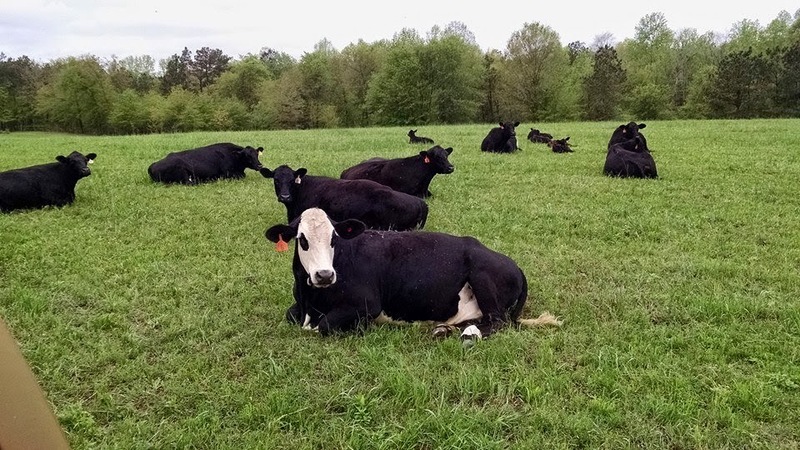 Located in Kershaw, South Carolina on the property of Margaret Holley, Seldom Rest Farm raises 100% grass-fed Angus beef. 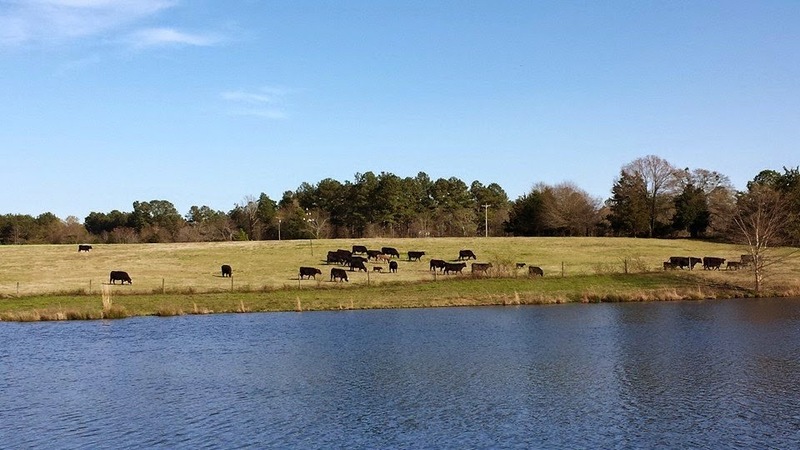 Mrs. Holley's daughter, Cathy Taylor and son-in-law Mitch Taylor, are part owners and maintain the pastures, livestock, and all other aspects of the farm. Cathy has a certificate from "The Clemson Extension New and Beginning Farmer" program. 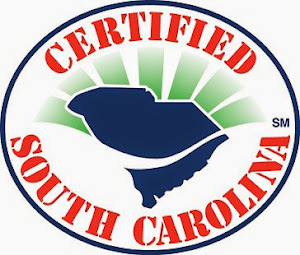 She is also a certified Clemson Extension Master Cattleman. 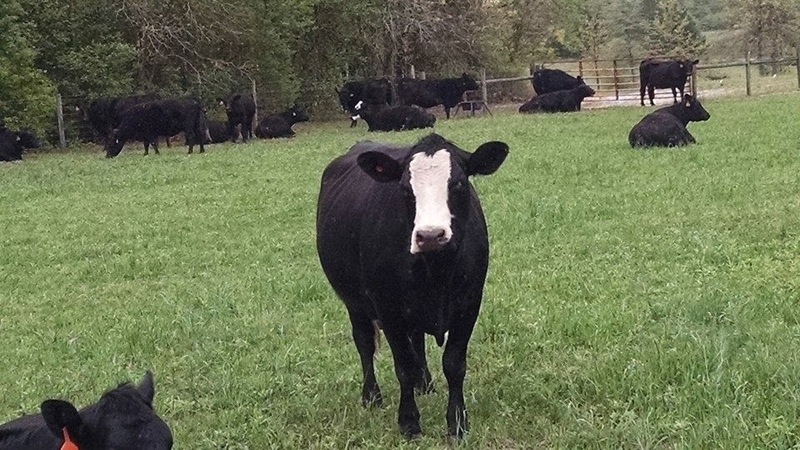 Seldom Rest Farm has an average of 75 cows on property at any given time, and practices controlled grazing on approximately 150 acres of pasture land until they reach processing age. Cathy purchased our first 4 cows with heifers by their side in November 2008 and a registered Angus bull in January 2009. They now have 40 cows who produce new calves year round. This allows us to have a constant supply of fresh grass-fed beef available. 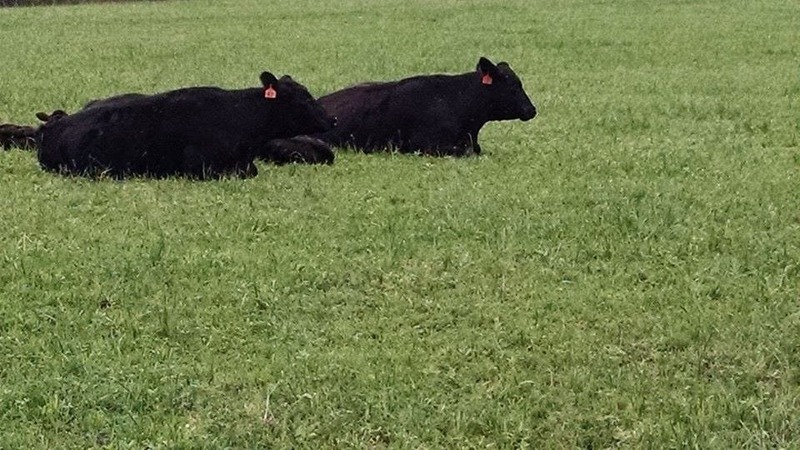 Our mission is to provide clean grass-fed beef to all of our customers. 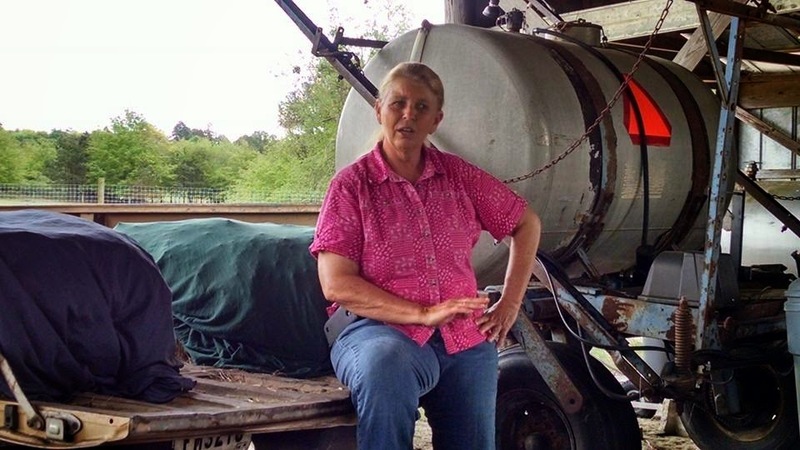 It is evident when Cathy talks about the farm, she is passionate about what she does and the quality of the product Seldom Rest Farm provides. So much so she visited several USDA processing facilities before finally settled on one for her meat. As she said to the group "it's important to me the cattle are treated in a humane manner, from the beginning of life to the end of life." Using a smaller processor insures this, and insures the product brought to the processor is the product received back to the farm. As she finished explaining their farming practices, it was off to see the cattle on a "hay ride," which was hay bales in the back of a pick-up truck. Oh, this was great fun for all of us! We drove into several pastures where the cattle were all grazing, or lounging about, marveling at the lush green pastures. Because they use a "controlled grazing process" none of the pastures are ever bare. And with over 5 miles of fencing on the farm, it's easy to move them around from pasture to pasture; you just have a few gates to go through. 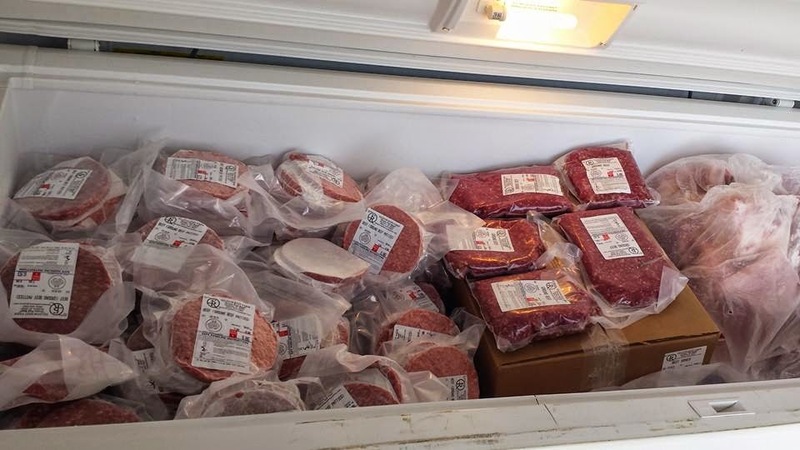 We finished our tour back at the open barn area where we started and immediately began to check out the freezers full of this wonderful grass-fed beef. Some bought briskets, others bought short ribs and roasts, or steaks and ground beef. 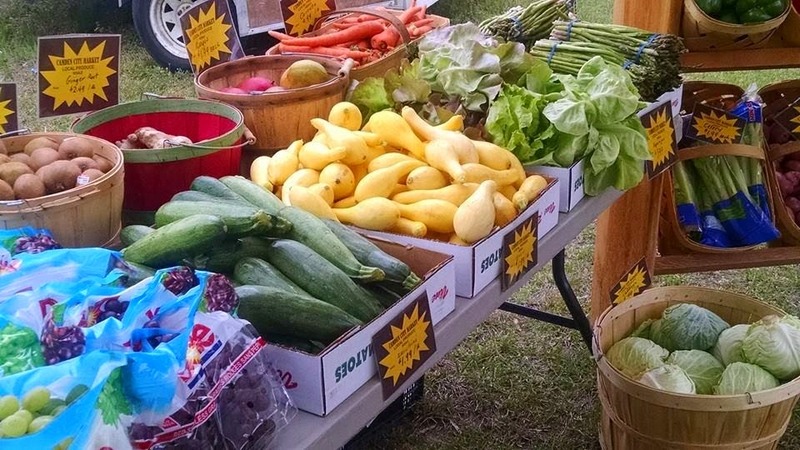 Buying from a local farm helps support them, allowing them to continue what they do for you and me, and it keeps your money in your community. 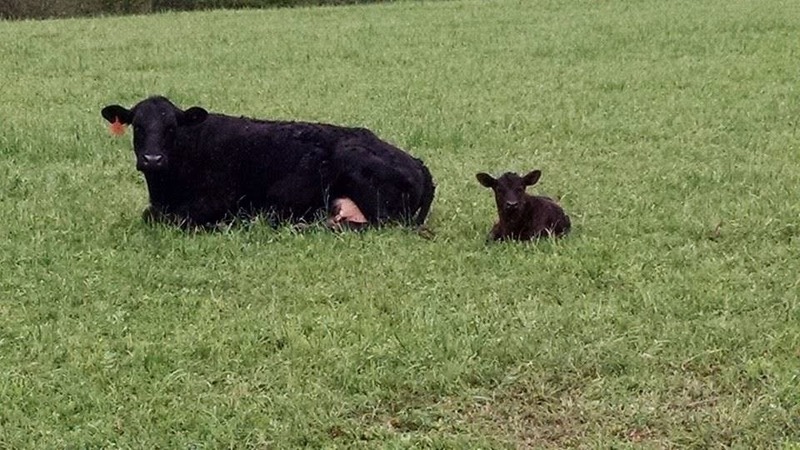 Once you taste locally grown grass-fed beef, you'll know the difference. It's just flat out delicious! 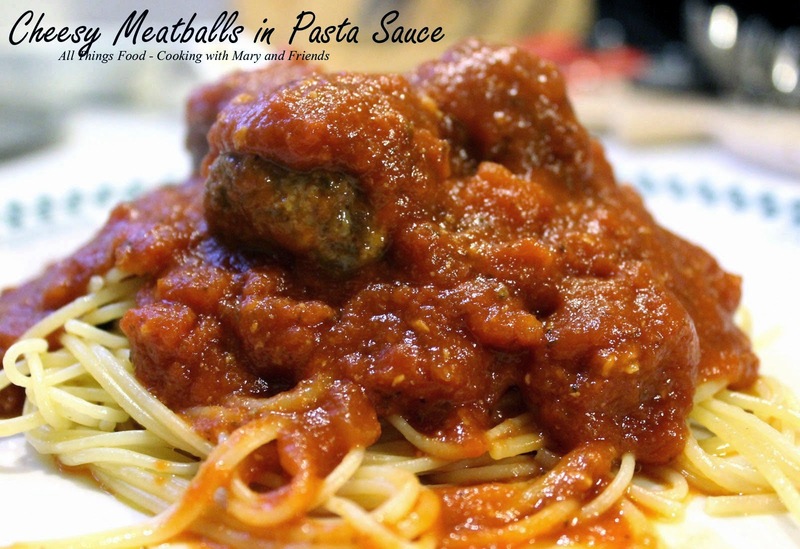 I used the ground beef I purchased to make Cheesy Meatballs. You can't go wrong with these. (click link for printable version). And served them with Simple Pasta Sauce! They were delicious. 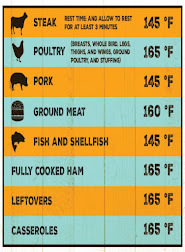 (click link for printable version). 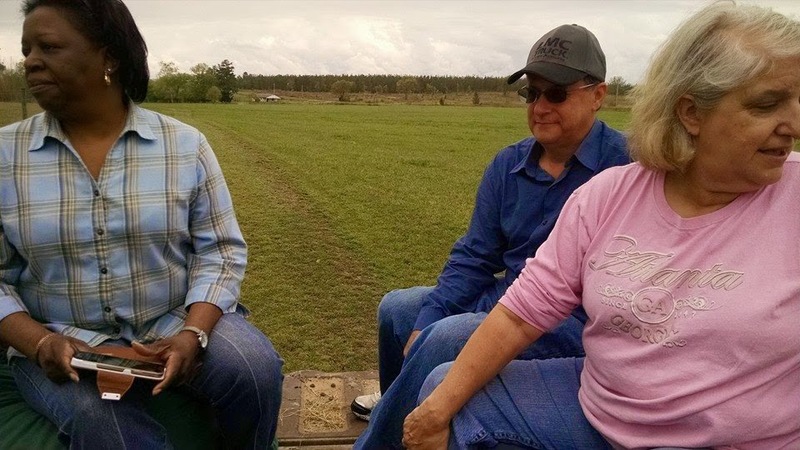 It was a great day with good friends, and another wonderful adventure exploring small, local family South Carolina farm doing it right for you and me. I am happy to be on this journey to explore what's fresh right outside my door and look forward to many more farm trips. I encourage you to get out and explore your small, local family farms. I'm sure you'll be glad you did.